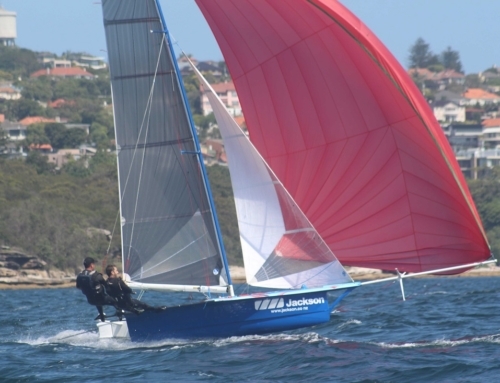 The invitation race is done and dusted for the 58th 12′ Skiff Interdominions which RAYC is hosting from the 6th to 13th January 2018. 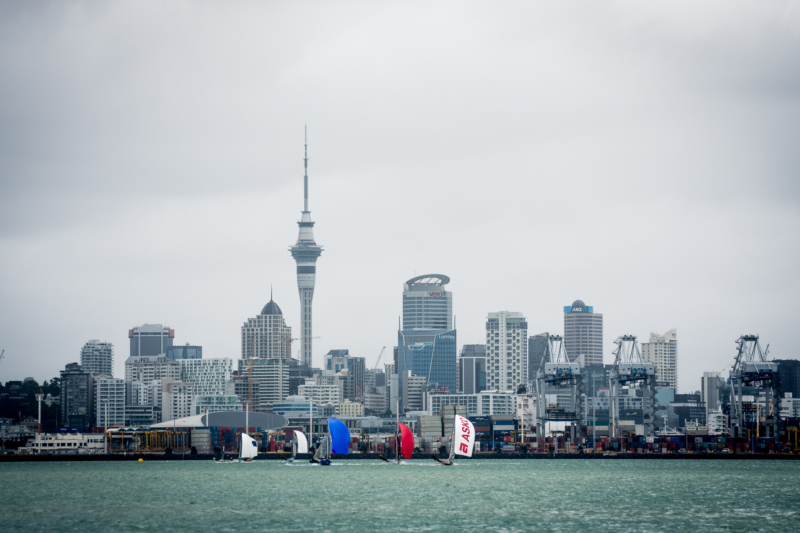 23 boats have entered the regatta, 13 from NZL and 10 from Australia. The invitations race, a Mark Foy start, saw an inconsistent westerly ranging from 10-12 at the top mark and gusting 20 at the bottom. 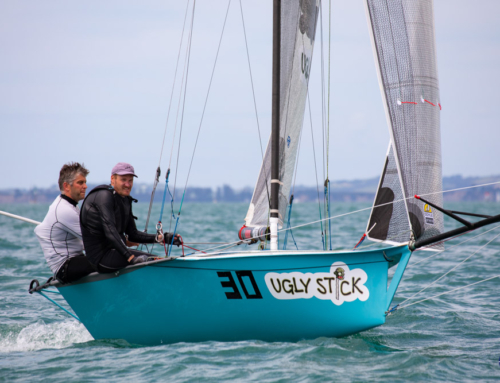 C-Tech (NZL), sailed by Alex Vallings and Andrew Clarke, won the invitation race with Sydney Sailmarkers (AUS) second and ASKO (NZL) third. There is a trophy for the invitation race, but the result doesn’t count towards the overall Interdominions result. Check out the videos from today.